My dad retired last December and with his retirement, he decided to take up gardening. Actually, he’s always been into gardening (I think). I know he has always taken pride in keeping the yards very beautiful when I was growing up. And remember helping in the vegetable garden when I was a kid. So, I suppose he’s always enjoyed it. But with his recent retirement, he now has a little more time to dedicate to gardening and he would tell DH and me about his evolving plans every time we went over to visit. 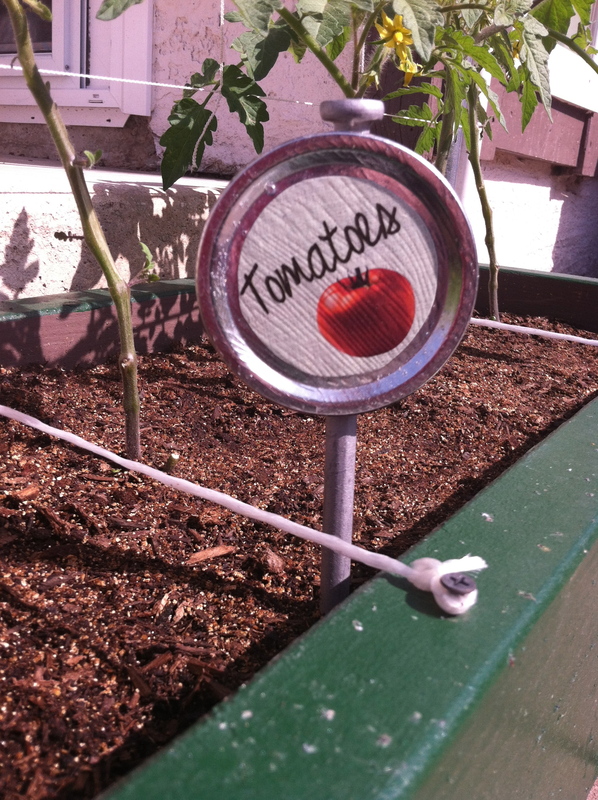 So, for his birthday in March, we thought something garden related would be a great gift. 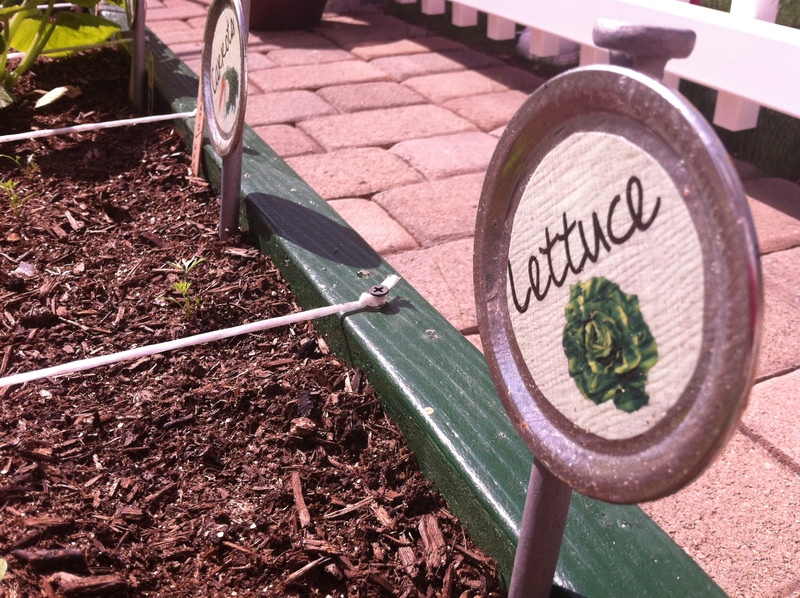 We decided to make him garden markers and solar mason jar lanterns. Since we were making both, I decided to keep the look and feel of them similar. 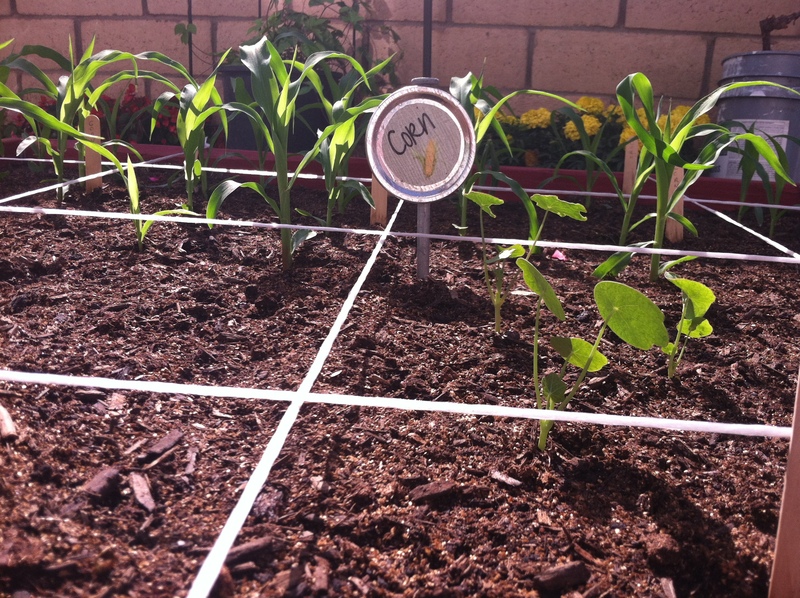 Hence the mason jar lids as markers. I also wanted the markers to last more than one season, so I figured I shouldn’t use wood. 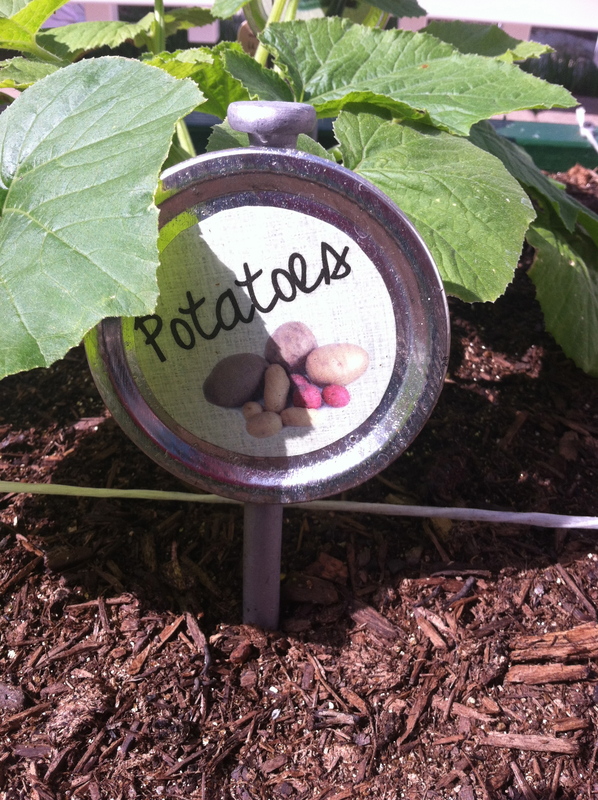 There are so many wonderful ideas for home made garden markers, and all of them were helpful in coming up with the ones I made for my dad. I used a box of mason jar lids. These can be found at the grocery store in packs of 12 for a couple bucks. I then decided to go with really big nails for the steaks. I found mine in the nail section at Lowes. For the glue, I used E-6000, this is the super-est of all glues. The clerk at the craft store where I bought might jokingly cautioned me not to glue my hands together while working with it. I created a simple design that had a burlap-looking texture with the names of the plants and a picture of the plant. Once I printed the labels, I cut them out into circles. I used high-gloss modge podge to a hear the labels to the lids. The reason I used high-gloss is because it’s the most weather proof of them all. Once the labels dried, I used my super strong glue to attach the mega nails. Once they dried, they were ready to be planted. And look at that beautiful garden, too! Keep your eyes open for a separate post about the solar mason jar lanterns. Very cute! How have the held up for you? Would you make any changes? I’d like to try them out! Hey, thanks for your interest in these garden markets. They’ve held up great and are still getting used!